It's a beautiful sunny day here. Too nice to be inside so I will write a quick post. Thank you all for your support with my work situation. We are still doing a rotating strike and I've had my pay docked...which makes me angry. So what's a girl to do when her cheque is -$200?! Buy dresses and threads!! Like I can afford to buy anything right now right?! It's therapy in my opinion and it has helped!! I've also had some crochet therapy this past week. Nothing like sitting in the sun, hooking and meditating and feeling the breeze on my sunned shoulders. I try to be positive in all aspects of life since life is so short and it's important to revel in simple pleasures. 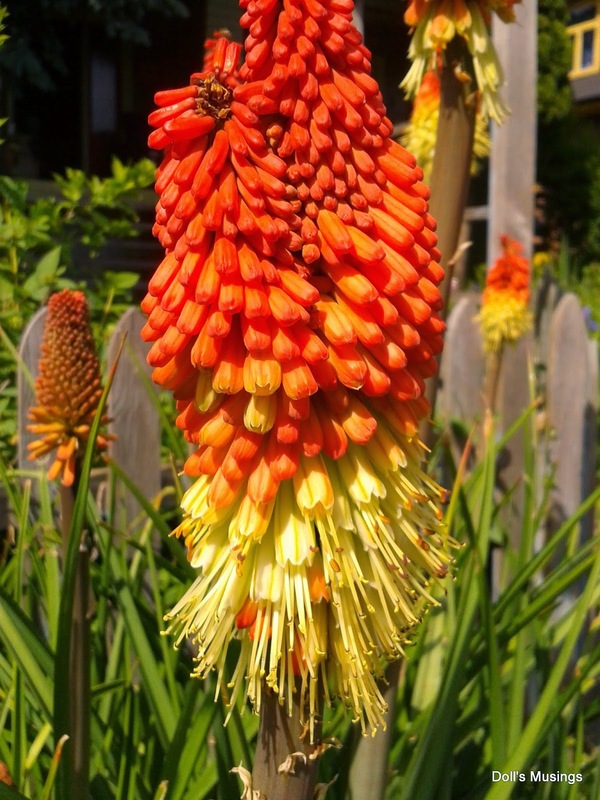 Without further ado, here are some uplifting photos I've taken this past week of crocheting, flowers, stitching and of course my furbaby Titus. 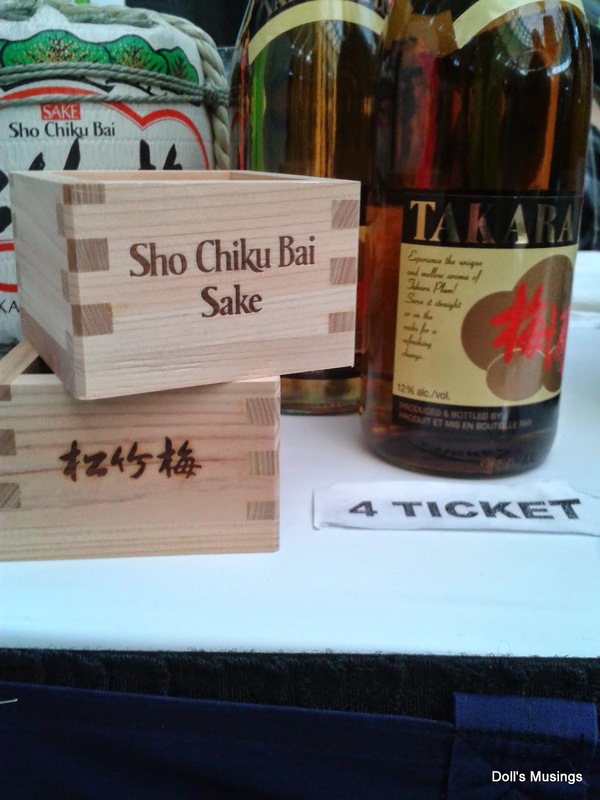 Sampling Saki at Eat Vancouver...little sips of heaven! 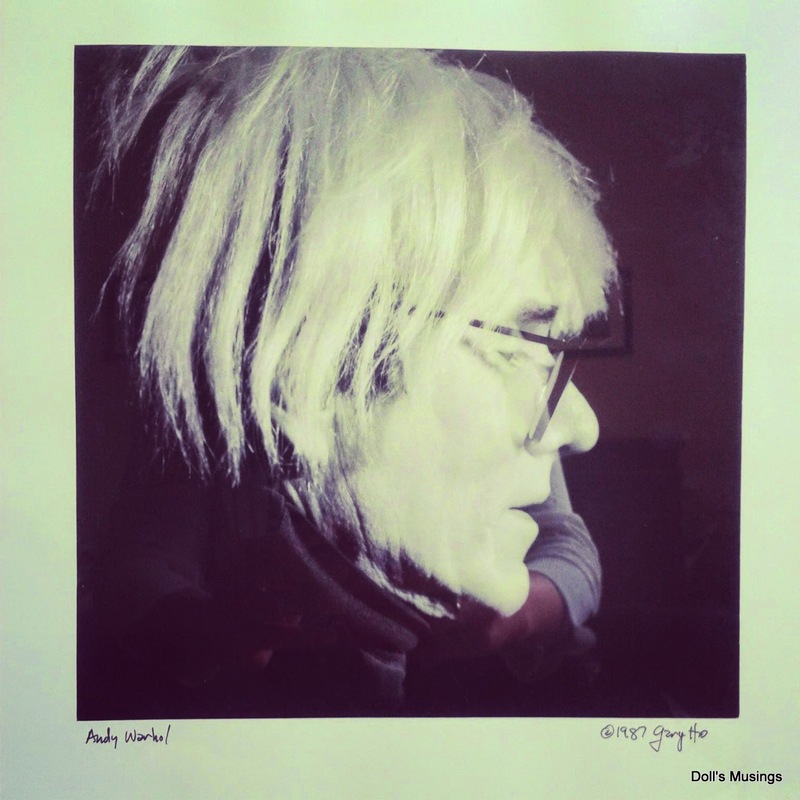 Luckiest find in the world...signed 1987 Andy Warhol photograph just before he died. I will try to authenticate the photo when I have some time in the summer. Found this at our SPCA thrift mart for $12!! Finally, a regal photo of Titus! I will be replying to emails from last post and this post shortly. I like to do this since I think it's the polite thing to do, although I know others don't reply to comments for whatever reasons. Probably busy or whatnot. Do you find it important to reply? Tell me your reasons if you do or don't...I'm curious. Shirlee recently wrote a post regarding some blogger issues, which are frustrating for me too, and she mentioned her thoughts on replying to comments. I do try to reply to each and every one although it takes me awhile to do so due to being busy. Great crocheting and stitching Anne! I hope things turn out well with the work situation! I didn't use to reply to comments. I make more of an effort to now but I am still terrible at it. Life is so incredibly busy that I just cannot find the time. I guess that's why I also haven't been blogging. 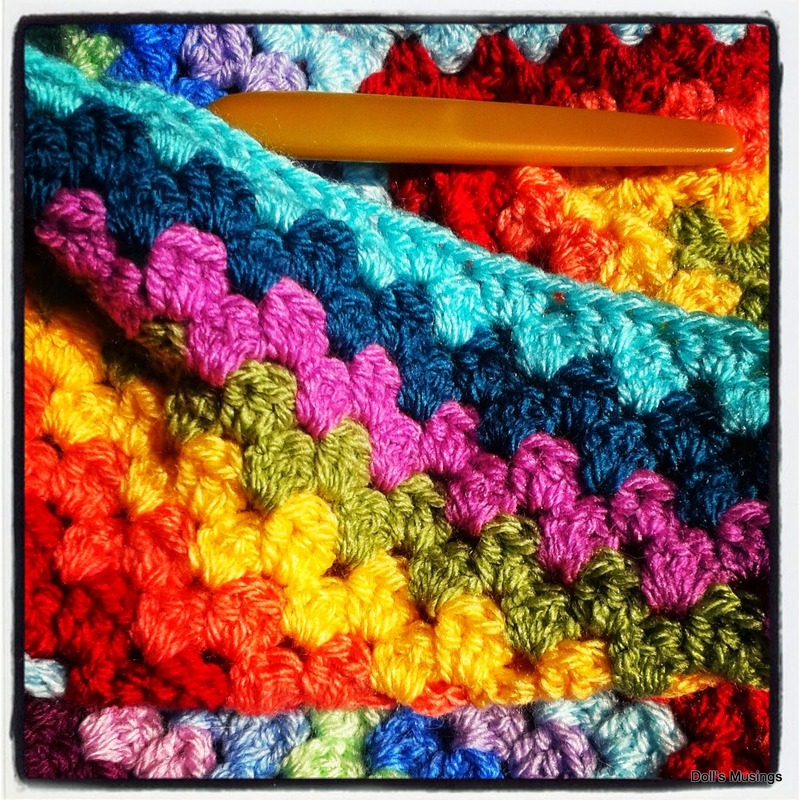 Love your stitching and crochet! The mandala is so cool! Love that pic of Titus too! 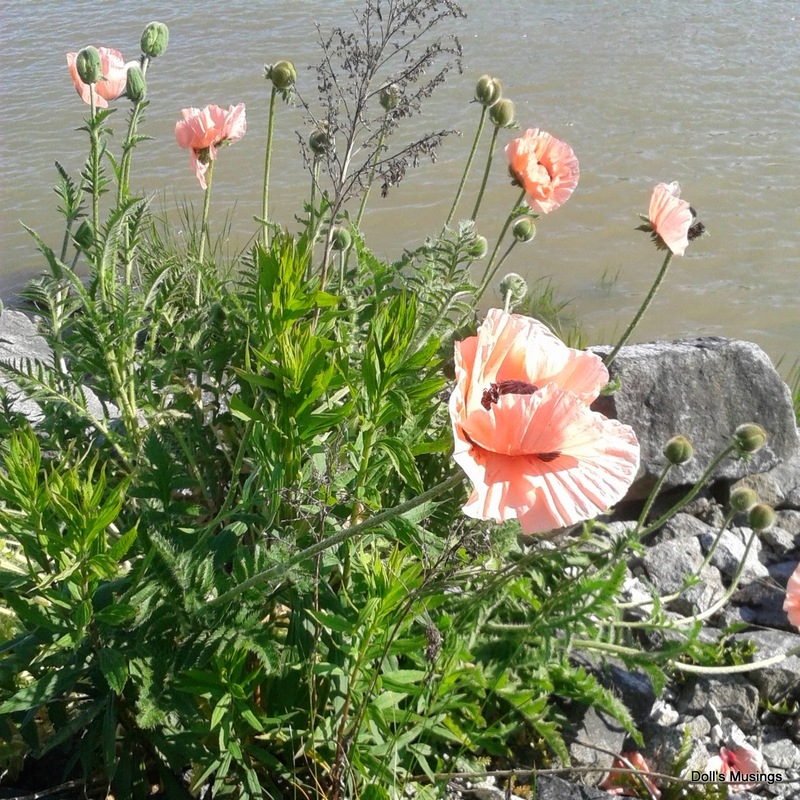 And those poppies! Lovely! Sorry about your dock in pay. :( I hope this is resolved quickly. As for replying to comments -- I try to reply to most comments too. If it's a short comment where all I can find to say is "thank you," I don't always reply. After all, what's the point? But if it's a longer comment I do try to answer. I like to answer comments if i can. You end up making friends and sometimes replying can lead to interesting conversations! 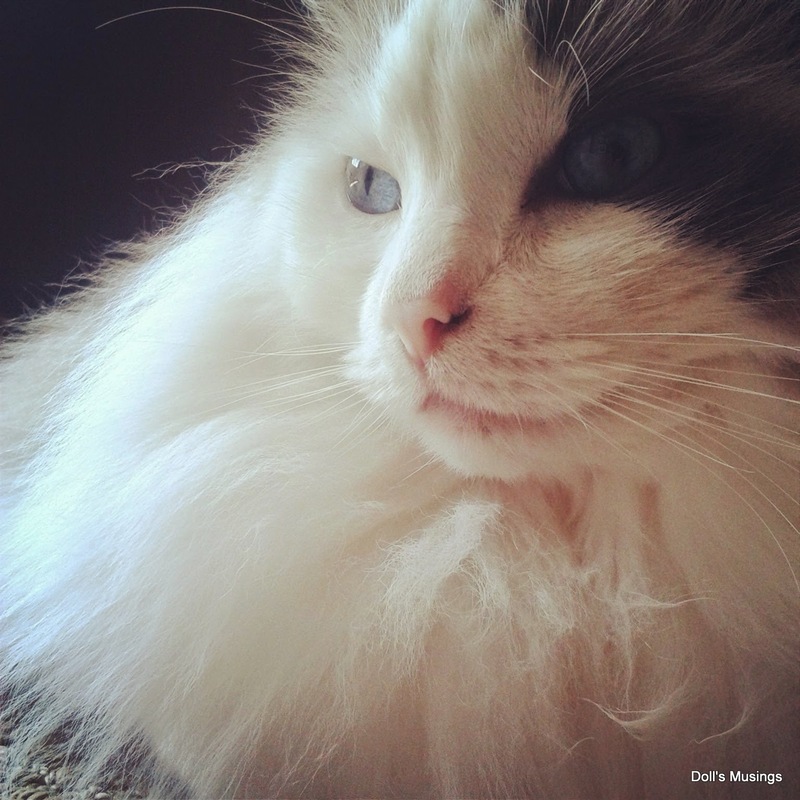 This post is full of lovely things, including Titus! I do try to reply. I think that people do take time to comment and I agree with you, it is polite to reply to them. It is a bit easier for me as I am retired. Your pretty crocheting and beautiful photography have plenty of therapeutic value I'm sure. Hope the work thing resolves itself so you don't have to worry about that. I do reply to comments. I think I feel guilty if someone took the time to write and I couldn't find time to acknowledge it. But that's just one of my many neuroses! We had a lockout down here, but it was resolved in two days - luckily the parents were able to pressure the school board. I hope your situation gets back to normal soon. I don't expect a reply to my comments, and unless someone asks me a direct question, like "what's the name of that pattern?" I don't reply. Even if they do ask, sometimes my first thought is "if you read my blog you'd know that", lol. I only have so much time, and if I started responding to every comment, I'd never get around to leaving any. I make it a point to visit the blogs of the people who comment and leave comments for them, so I appreciate that it's a reciprocal relationship, but for me it's like you sent me a postcard from Hawaii, so I'll send you one from New York, not I'll call you to tell you that I got the postcard from Hawaii. Especially if didn't put a return address on the postcard, lol. 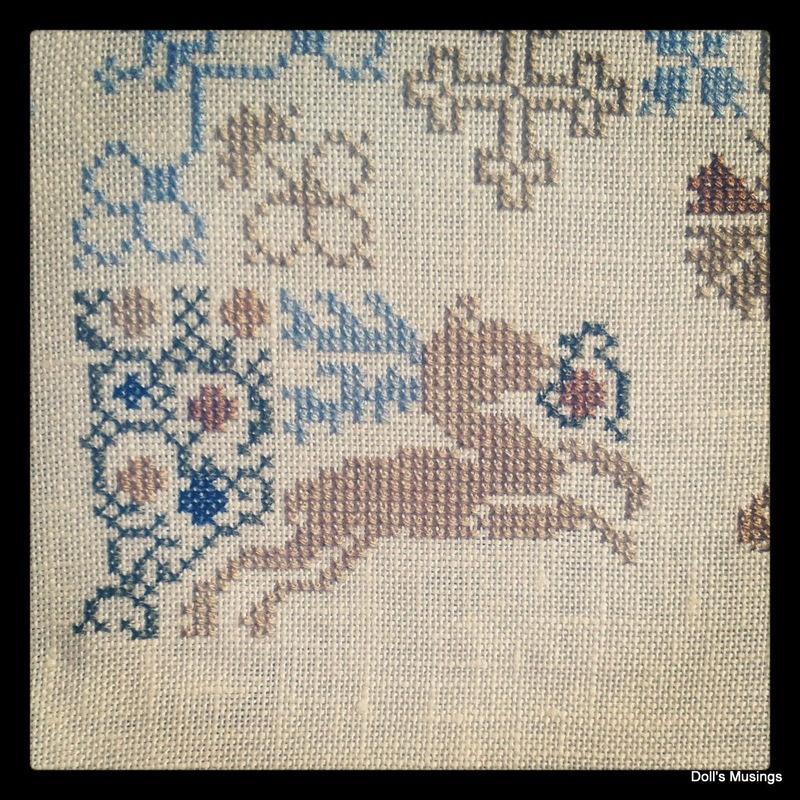 Your crocheting and cross stitch are very pretty. 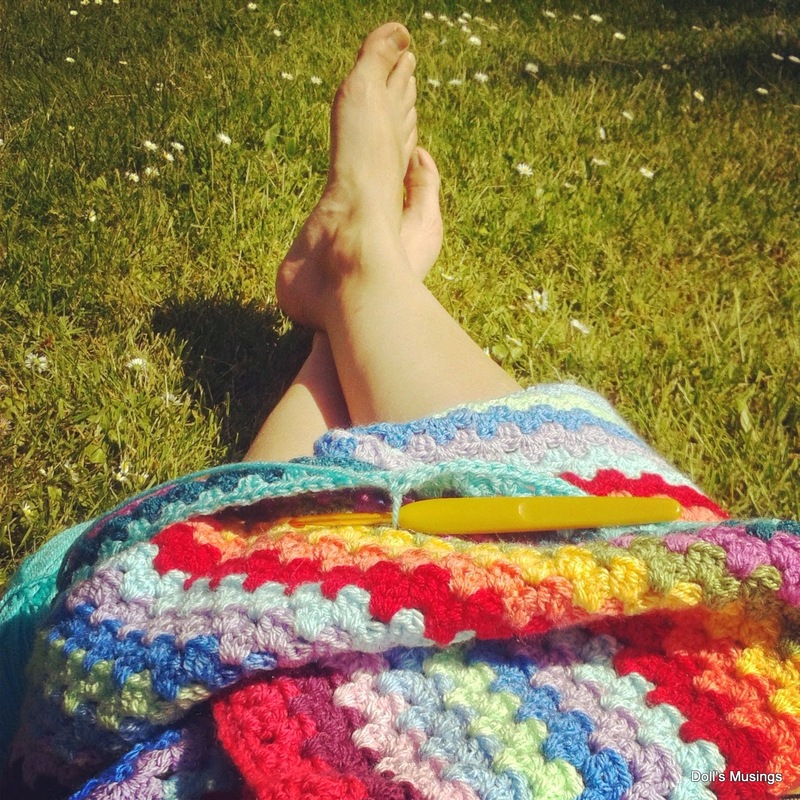 Your crocheting looks gorgeous..especially the mandala - so neat! As you can probably guess, when I tried to do one it didn't even lay flat my tension was so bad, but yours looks great! Hope your work life gets back to normal, at least the therapy always works! I do try to reply to comments although the last few months have been crazy and I have been so late in replying, people must wonder what on earth I'm responding to as they have no doubt forgotten their comment! Good luck with the photo...I do so hope it's genuine! Wonderful pictures and your crocheting is very nice. I try to reply sometimes it is difficult, but I do try to visit everyone who does comment. 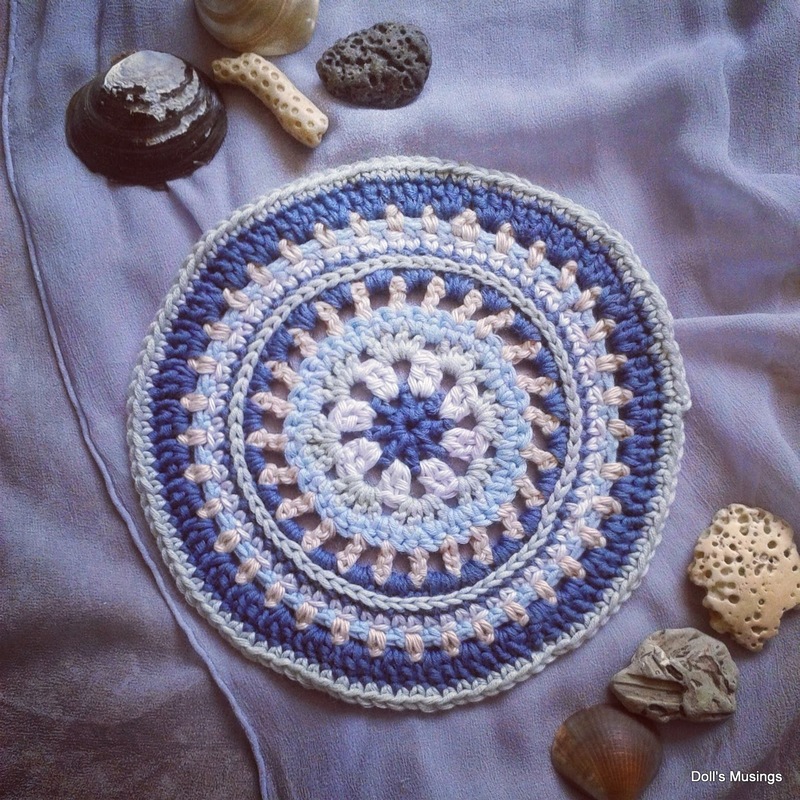 Beautiful crocheted mandala! I love the colors you chose, they look gorgeous together. I really hope these school problems are resolved soon. What exactly is going on? At least we are having some nice weather right now to "compensate" for the work/strike woes! I'm glad you are making the best of it with all your wonderful handwork! As to comments, I always try to reply to people. I do feel disappointed when I leave a comment on blogs and I don't hear anything back. Unless the other blogger visits my blog too and leave a comment, there is no "getting to know" the other person. I find a lot of people don't acknowledge or reply to comments (or at least to mine!). I hope things sort themselves out with your work situation - it's very frustrating when something so negative drags on. Your granny stripe colours are so vibrant and bonnie. Titus is such a handsome fellow. 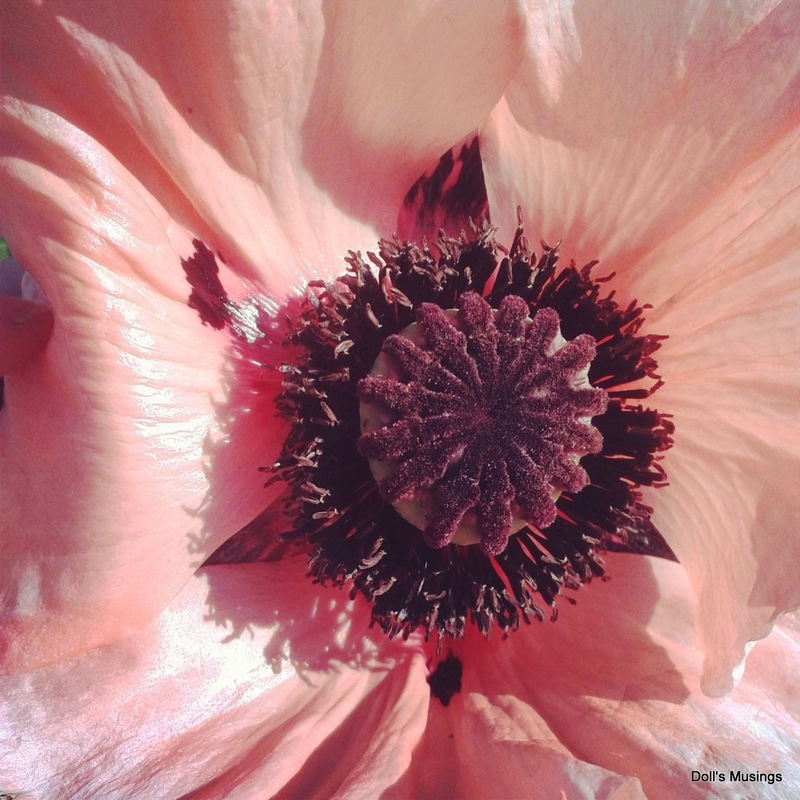 Beautiful crafting and flower photos.Your Mandala is very pretty. I also hope your work situation does not drag on. Our mandala looks great! Perfect seaside colors you picked out! 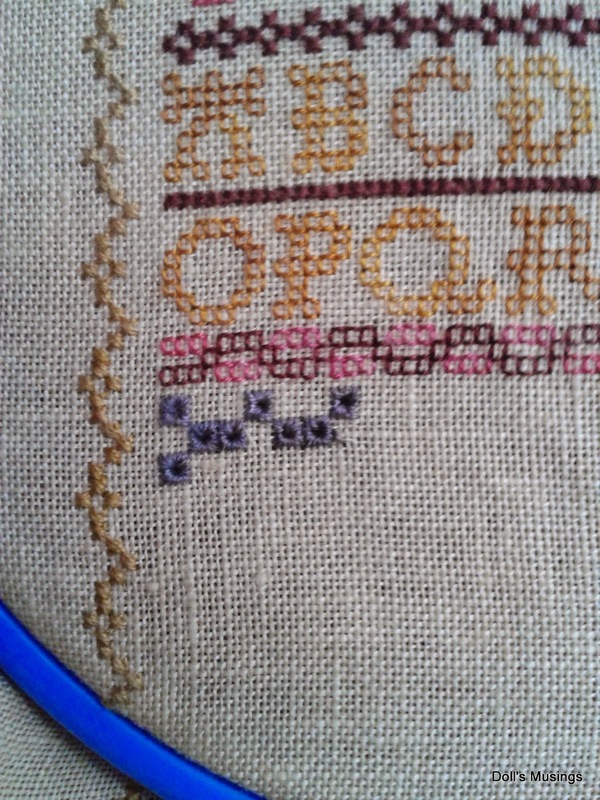 The BBD SAL is a challenge, for sure--now all those tiny eyelets! But you are making great progress... as you are on JCS 1707 and the Granny Stripe blanket! So talented! That is a great picture of Titus! Hugs! Oh sweetie I hope your work situation will get better soon! Not easy.. Not easy at all!! :( I hope everything will be solve as you need! So sorry to hear that the problem hasn't been solved yet. 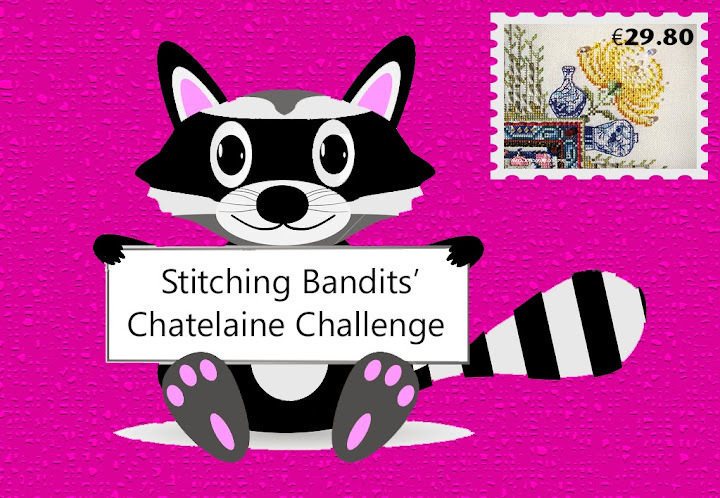 Just try to stay positive and stitch and crochet on your lovely projects. So far I have only answered to comments when there was a question involved. BUt what I always do is go to the commenter's blog and leave a comment there (if I can find it and it's not set on private, that is). When I became retired I once started replying to comments but soon I realized that I spent way too much time on the computer. So now I reply to comments when there is some time left after visiting the blogs in my blog roll and commenting to them. I hope your work situation gets resolved quickly for you. A lovely blanket and the mandala is just beautiful. Replying to comments, sometimes I do, sometimes not, depends on what the person has written and what time I have. Lovely photos today! Shame about the pay-docking, they clearly think they can bully you all into backing down. As you know I do reply to most comments. If they have backed up too much I might have an amnesty and not reply to any over a week old. If someone just says "nice stitching" I don't usually reply but if they comment on something specific within the post I will include an extra comment, personalising it for regular commenters. I often send links to further designs by the same designer if someone says "I have not seen this before"
I do try to reply to all my comments but sometimes I am busy and won't. I also try to comment on what I read even if only to say pretty stitching but don't always need a response. I think if I leave a longer comment and there is no response I do feel like it was a waste of time. Anne, I do hope things improve at work very soon. Rolling strikes are not fun and losing money is definitely not fun! Stash therapy always works though!! Hugs, I hope your work situation is resolved soon. 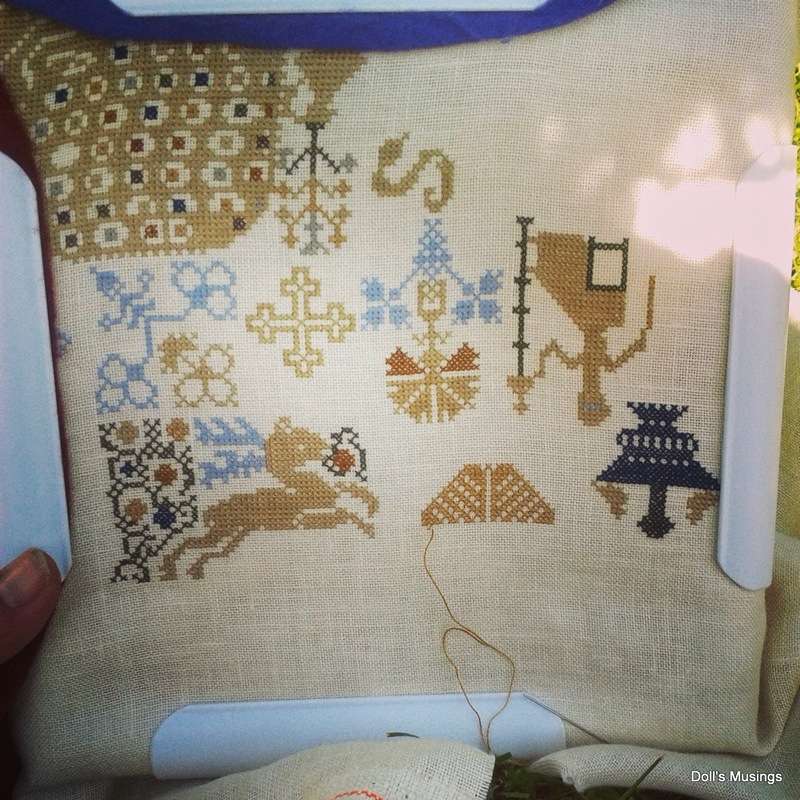 You've been working on some gorgeous projects, your sampler is looking stunning. As far as comments go I try to respond to them but I can be a bit hit & miss if 'life' gets busy. Omg life is so busy. Still needed to reply this. My mailbox is Full. My bloglovin WAS Full. Not anymore. After this comment that Will be empty for a short while. I loved your pic on fb. Really hope ut helpt all. How terrible this. My Fingers are crossed for you sweetie!!! You sea pic the mandela looks so awesome. What your going to do with it?? How Hot us it under your blanket!? You really give me the feeling I need to get started on mine. I hope your having a awesome weekend. Take care. And happy crafting!! !